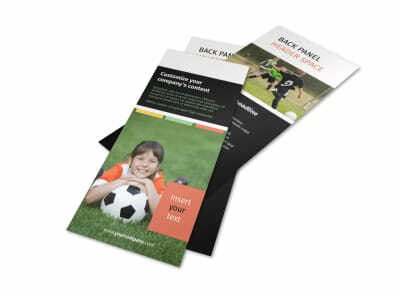 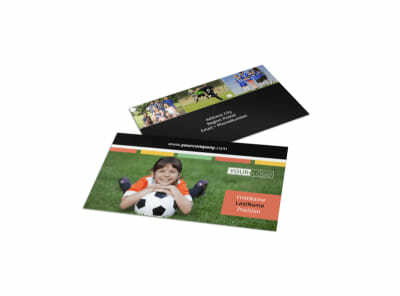 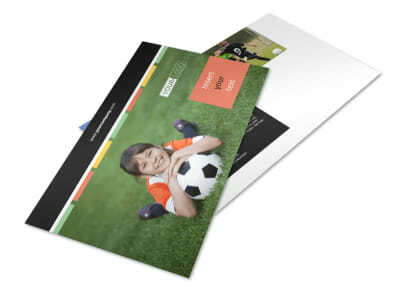 Customize our Soccer Camp Postcard Template and more! 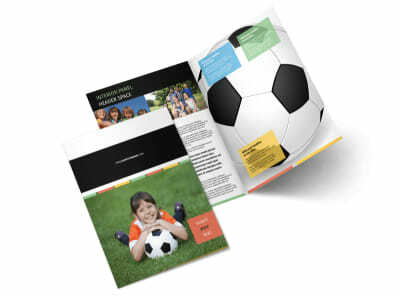 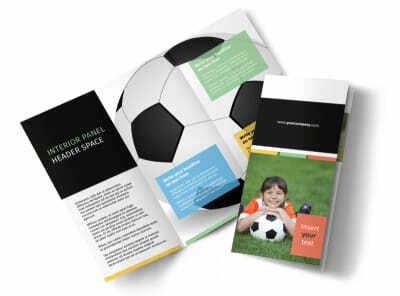 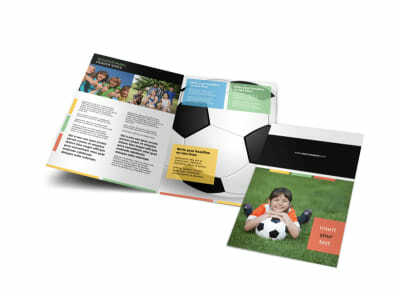 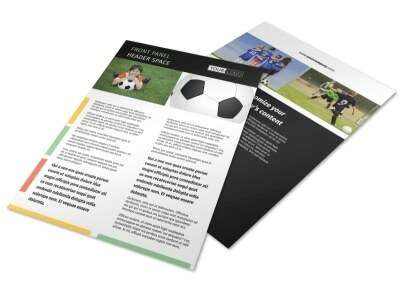 Mail out reminders to future soccer stars that enrollment for camp is just around the corner with soccer camp postcards made with our online editor. 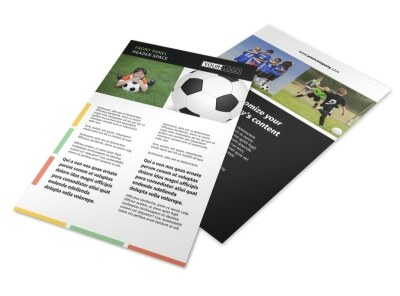 Modify this template with images of goalies and midfielders and add bold text to make your message really pop out in the mail. 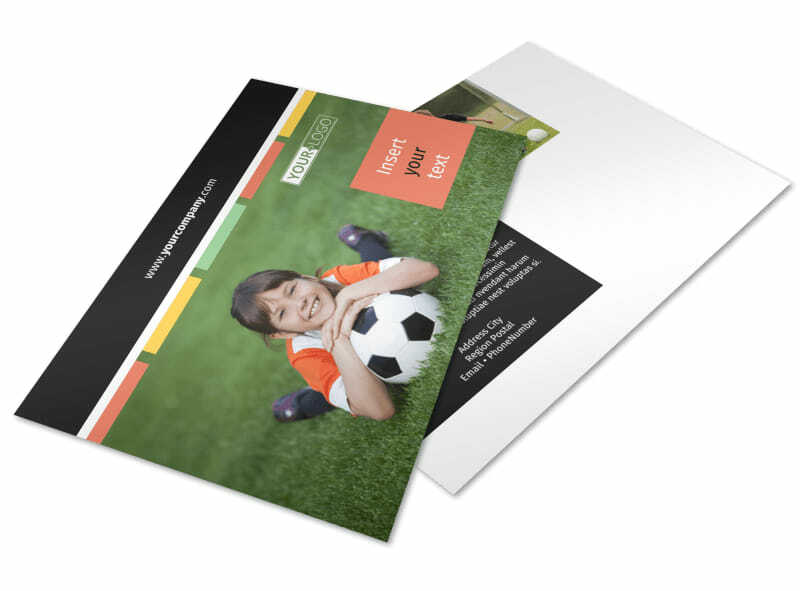 Get the ball rolling and start designing your postcards today.